Plym #2 officially entered her teen years. Lawd, help me! And she’s a girl, my second TEENAGE girl living under my roof, double Lawd help me! I know we hear this all the time, but I really mean it. Time FLIES, cherish the time you have with your babies – b/c the teenage years will be here before you know it! I feel like just yesterday I was pushing my girlies in the double Baby Jogger. But she’s all grown up now. In just five years, she’s off to college. And well, let’s just not go there yet. 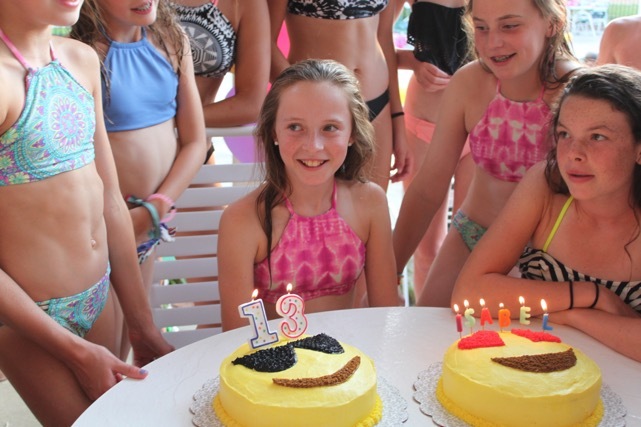 Let’s talk about her little 13th birthday soiree. 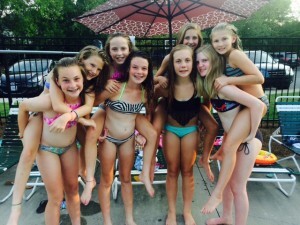 It seems like the trend is to hold off on official birthday parties during the middle school years. That is until the big 1-3. That’s when people pull out the big guns – party limos, dance parties and fancy dinners are a big hit for the girls. 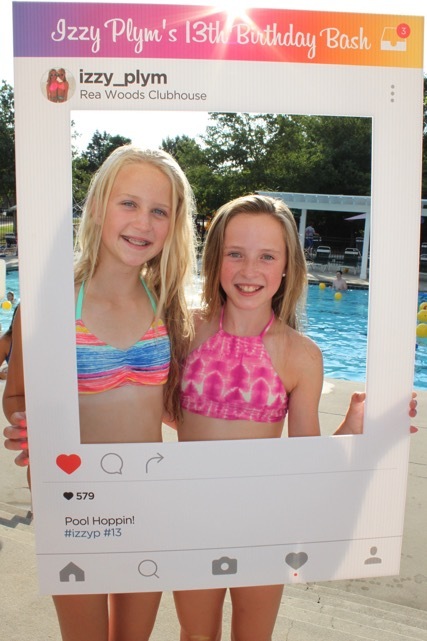 We love having a summer birthday and we always throw a fun little pool party. But this time we stepped it up a notch, or 13, in honor of teenager-hood! 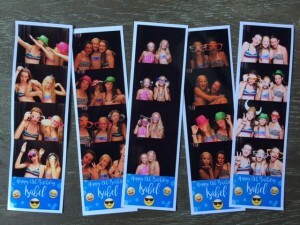 Smarties, meet ShutterBooth, the best thing that will ever hit the teen birthday circuit! 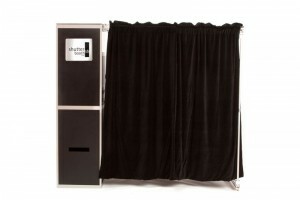 ShutterBooth provides multiple photobooths with a variety of customized or unique backdrops. High quality onsite prints in a variety of formats, onsite photo sharing, and branded booths are just a few of the options they offer. Make Shutterbooth your booth to fit the vision for your next party or event. There is an array of options available to enhance your experience and kick it up a notch. Do you want to give your guests the time of their lives?! ShutterBooth was created with that in mind. 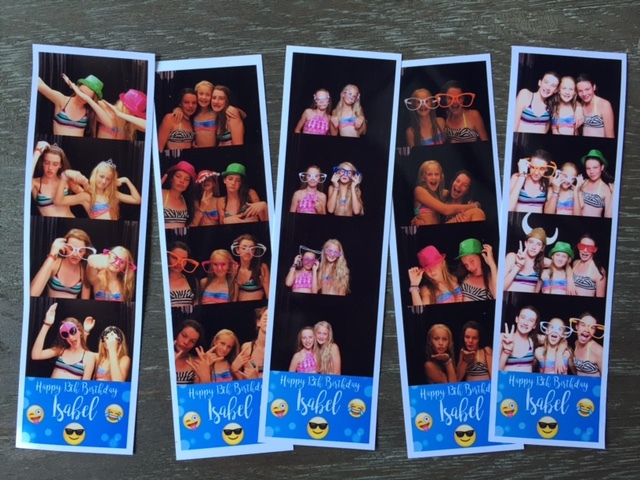 At ShutterBooth, they are here to bring your event to life. 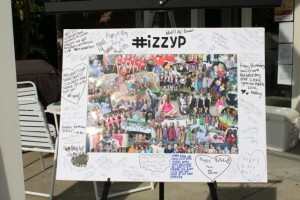 They will work with you to take your experience to the next level, and they did just that for the #izzyp bash! We decided to make the party a “#izzyp” surprise, which was extremely hard to pull off for such a big event! I went with the teen social media theme with emojis and instagram photo props, but the big event was the ShutterBooth. It was set up right in the pool clubhouse and the girls spent hours dressing up in the props and taking pics. I was super impressed with the user interface of the tablet/printing tools. 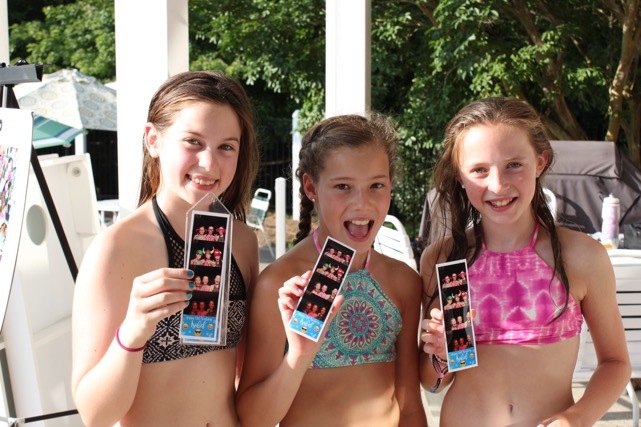 The girls could customize their photos and choose to print, text and share on social media. Or go old school and print, with unlimited photos in our package. My favorite part was the customized caption at the bottom of the photo strips. So cool! The pool was filled with emoji pool balls and emoji balloons. We even had an emoji cake that was delish and homemade by my dear friend, Meredith – she makes the BEST cakes and they always look perfect! 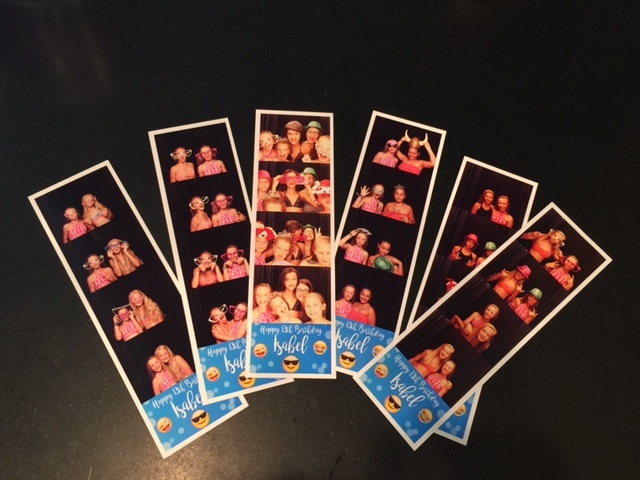 I would highly recommend ShutterBooth for 13th birthday parties, Sweet 16 parties, graduation parties, Bar/Bat Mitzvah, Fundraiser Events and the obvious, weddings! Contact ShutterBooth directly for your custom package. No two parties are alike!